There are hundreds of reasons a dog becomes “sick,” lethargic, collapses, etc. So don’t put much stock in claims that haven’t been substantiated by science. At least until the dust settles, don’t feed Purina Beneful. But don’t automatically assume it’s deadly. Many well-meaning people are in a tizzy over Nestlé Purina’s dog food Beneful. You can’t get away from media coverage of a potential class-action lawsuit alleging that Beneful causes illnesses and death. Although many veterinarians will tell you that Beneful and similar low-end pet foods are not on their “recommended” list, you shouldn’t panic if you’re feeding Beneful. Some of my clients believe they have done irreparable damage to their pet because they have fed this food. One of my clients is convinced that his elderly dog died last year because he fed Beneful. I believe the dog died of other causes. Beneful may be a lousy food — my advice until the dust settles: Don’t feed it. There are umpteen other foods out there, most of which don’t look like Juicy Fruits. 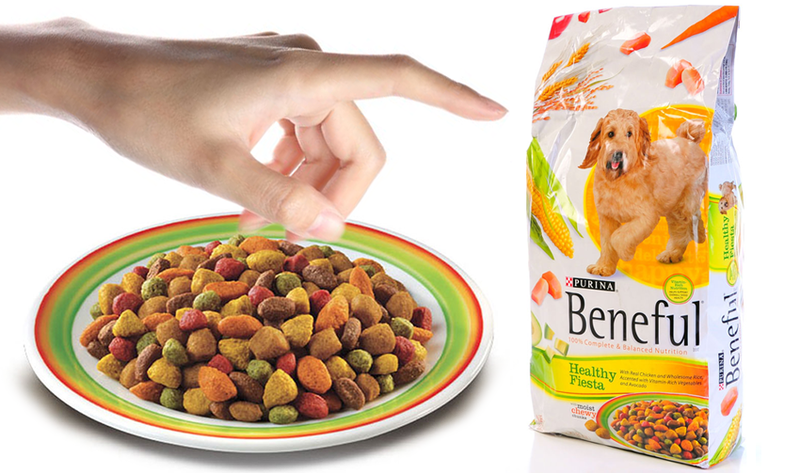 Beneful has always reminded me of a doggy version of Meow Mix. Or boxed macaroni and cheese for dogs. Honestly, did we have to find metal in iridescent-orange macaroni before we thought any food that color shouldn’t be eaten? Board-certified veterinary nutritionists are experts who have no reason to protect Purina or any other company, and they are not convinced that Beneful is deadly. 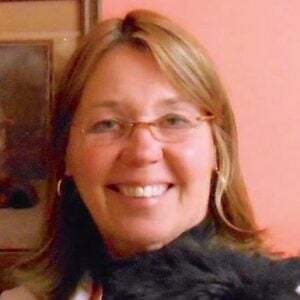 The allegations are still in the realm of “fear-mongering and hysteria,” according to Dr. Jennifer Larsen, DVM, PhD, DACVN, of the University of California, Davis, School of Veterinary Medicine. Many other experts agree. The latest lawsuit alleges that propylene glycol, an FDA-approved food additive for humans and dogs, is the source of the sickness and deaths in dogs who ate Beneful. Many of my clients are confusing propylene glycol with ethylene glycol, a toxic agent found in antifreeze. They are not the same. Although you may want to avoid propylene glycol for you and your dog, it’s unlikely that the amount of propylene glycol found in this food has caused death. As reported here at Petful, the Association for Truth in Pet Food claims it has rigorously tested Beneful, among other foods, and found high levels of mycotoxins. However, that lab data has not been validated by a recognized laboratory or veterinary school. This is not to say it may not be true. At this point, however, there is no expert testimony or accredited laboratory data to substantiate the claims. Evidence will be found if it exists. Too many good people who have dogs are using their backward-vision glasses and attributing illnesses or deaths of their pets to having fed Beneful years ago. I want you folks to stop beating yourselves up. There are hundreds of reasons a dog becomes “sick,” lethargic, collapses, etc. The Internet has allowed people to find one reason — Beneful — to explain away a vast array of canine illnesses and to create hysteria among good people. Millions of dogs have eaten Beneful and other crappy foods without getting sick. Death by low-exposure poisoning over a number of years is possible, but it’s more in the realm of TV doggy drama than real life. Consumer-driven advocacy to improve not only pet foods but all food production, inspection, safety and ethical treatment of our food animal sources and food workers is tremendously important. Thanks to everyone who seeks the truth, reports problems and researches products. Through the efforts of consumers and consumer groups, an overhaul of the pet food industry is needed. But calling out one dog food with unsubstantiated claims is not addressing the larger problem. I feed my pets a changing diet of high-quality pet foods and people food. That’s a good way to prevent deficiencies, guard against long-term food hazards and stave off boredom. Variety is the spice of a good diet, as long as your pet can tolerate different foods. Many of my clients still believe in brand loyalty. Unfortunately, this may have come from veterinary advice that suggested not changing foods abruptly or advice given about animals with food intolerances or GI problems. Some health conditions dictate a limited diet. But for the average dog who dines on dead squirrel or rock gardens when unsupervised, changing dog foods from bag to bag and offering healthy home-cooked meals is usually a good idea. Save some of the older bag or can, and mix it with the new purchase over several meals. I don’t blindly trust just any pet food company, pharmaceutical company or feeding fad such as gluten-free, grain-free, raw fish heads, etc. But neither do I put much stock in a lawsuit or chat rooms and fear-mongering when claims have not been researched by experts and substantiated by science. People always want to point a finger. Let’s get the facts straight and scrutinize with an open mind.